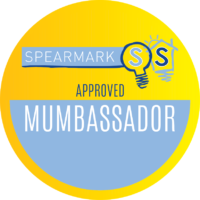 I am so excited to have been chosen to be on the Mummbassador panel for Spearmark. 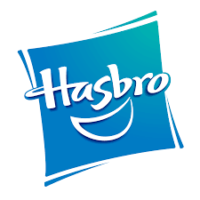 You will be pleased to know that I will be sharing lots of awesome products with you along the way. Some will be perfect to add to those Christmas lists! Spearmark is a lighting and houseware specialist. It is a privately owned family business based in Cambridgeshire. They manufacture, market and sell an array of cool products from novelty lights, lunch bags, mugs and much more. Lots of products feature Thomas the Tank, Peppa Pig, Teenage Mutant Ninja Turtles and the Minions, making them a huge hit with little ones! We were kindly sent a lovely selection of kids tableware in our recent delivery. Starting with this lovely Bing dinner set. Joben absolutely adores Bing so to have his favourite character on his plate is going to make dinner time so much fun. It really is a lovely little dinner set. It has a melamine plate, a bowl and a tumbler. All are beautifully illustrated with Bing, Flop and friends. I love that they are all dishwasher and microwave safe. We have many kids plates and bowls and haven’t been able to pop them in the dishwasher without the design coming off. To complete Joben’s set is the cute cutlery set. Perfect for little independent people at the dinner table. These are also colourful with fun illustrations and just the right size for little hands. Next up is the Marvel lunchbox and sports bottle. We are always out and about so this lunch bag is ideal for taking along with us. The lunch bag has an insulated inner that helps maintain a regulated temperature to keep food cool and fresh. It has a wipe clean inner for easy cleaning too. The bottle is a really generous size with a flip style top to open. The spout folds back nice and secure to avoid spillages. Keep checking back for more great bargains from Spearmark. Ooh huge congrats! Love the Bing set! These look like great products. I have been searching for new cutlery and plates for my toddler and these look great. My friends little boy would simply LOVE the Bing set. BattleKid is starting to get into Marcel so the lunchbox and drinks Bottle would be for him! Both sets look great! A huge congratulations to you and though I am not familiar with the brand British brands I support big time. As my nephew is just getting into Marvel this would make a lovely present. Love the marvel lunchbox so cute! Well done on becoming an ambassador for the brand! Well done you! My kids would love the Bing utensils. congrats on becoming an ambassador, this brand looks awesome! and products that we would definitely use!